As I have always agreed to sign personal guarantees to creditors, this closure also has serious implications for me and my family. Creditor liabilities greatly exceed our assets so we will also lose our family home….As for my role as a senator, I will, of course, resign. After the October announcement of his impending resignation, Senator Day appointed a liquidator to try and sort out the business. This liquidator received expressions of interest from several unnamed investors and it was thought the business might be able to be saved. It was reported that if a new investor could finish building the houses and pay the building contractors and the bank, then Senator Day might be able to avoid bankruptcy and continue his work in the Senate. Unfortunately on Tuesday Senator Day announced that the potential ‘white knight’ investor had fallen through and he has now formally tendered his resignation to the Senate President Stephen Parry. How is a bankrupt person prevented from sitting in parliament? Our Constitution contains a section that outlines several situations which disqualify a person from being chosen or of sitting as an MP or Senator. One of these is bankruptcy. (iii) is an undischarged bankrupt or insolvent…. …. shall be incapable of being chosen or of sitting as a Senator or a Member of the House of Representatives…. If a senator or member of the House of Representatives…. Because Senator Day has resigned before he has officially declared bankruptcy, section 45 is skipped and we move straight onto how the vacancy will be filled as stipulated in Section 15 of the Constitution (click here to read an article we have recently written about this). Why was this section included in the Constitution? Prior to Federation in 1901, there was quite a bit of debate as to whether someone being bankrupt should disqualify them from sitting in the Parliament. One of the great contributors to Federation, Henry Parkes had claimed bankruptcy several times and it was still considered dishonourable during the 1890’s. The discussion at the conventions was about the harshness of disqualification when many bankruptcies occur through misfortune, illness, unemployment or unstable economic conditions. In the end it was decided that there was the potential for a bankrupt Senator or MP to be influenced (ie corruption) and so this section was kept to protect the Commonwealth. Others might imagine that an MP or Senator who is trying to avoid bankruptcy might be more easily influenced so they can keep their job. This kind of sentiment led the Labor Party to claim that Senator Day’s vote was tainted and should not be accepted by the Liberal Party. Most people understand that bankruptcy involves a process that goes through a court system, but insolvency is less well known. Bankruptcy is a process where people who cannot pay their debts give up their assets and control of their finances, either by agreement or court order, in exchange for protection from legal action by their creditors. At the turn of the century some States had bankruptcy laws….some had insolvency laws….In each case the statute provided for the adjudication of a person by a court as either a bankrupt or an insolvent. In each case the statute provided machinery for the discharge of the person so adjudicated. It is true that the word "insolvent", standing on its own, is not a term of art and may mean no more than unable to pay debts that are due….But against a statutory background….the term has been held to mean adjudicated insolvent…. Unless an MP or Senator has been declared bankrupt or insolvent by a court, then they are not disqualified. So while it has been stated that Bob Day is insolvent because he can’t pay his bills and has appointed an administrator. Until the situation is finalised and he has officially declared bankruptcy or insolvency, section 44(iii) does not apply. While a number of offers for various parts of the Home Australia business have been received, the major investor who has been examining the group's portfolio of assets over the past fortnight, has decided not to proceed. Accordingly, I have today tendered my resignation to the president of the Senate effective immediately. It has been an honour and a privilege to serve as a senator for South Australia and I am sorry it has ended this way. Unfortunately for Bob Day and his voters he has officially resigned because he could not find an investor for his business. The South Australian Parliament has states that it will convene a joint sitting during their next sitting week beginning on 15 November. 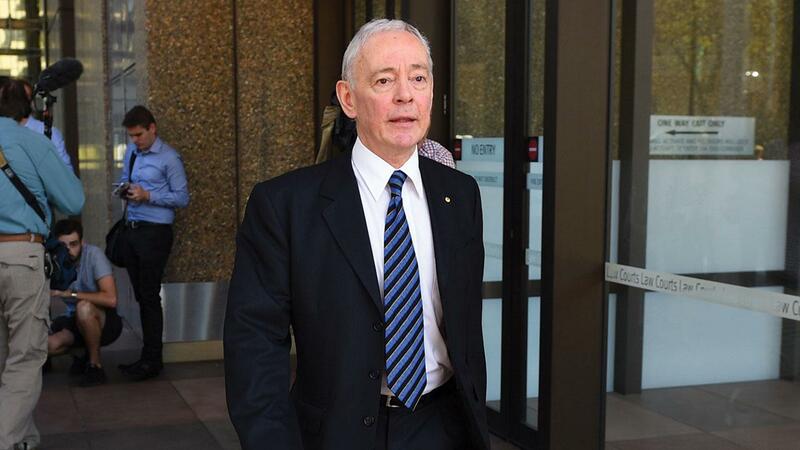 In the meantime, it is expected that the Family First Party will have to make a decision as to who should replace Bob Day in his South Australian Senate seat. Read: How are resigning Senators replaced? to find out more. I am considering information which raises difficult constitutional questions relating to the composition of the Senate and I am seeking further advice before I put the matter before the Senate on Monday. The media have stated that there are concerns about who pays the rent for Mr Day's electorate office. If there is a problem with that arrangement, it may mean that Mr Day's election was invalid on 2 July this year. This may result in a recount of the South Australian Senate vote, rather than the filling of a casual Senate vacancy. Whatever decision is made, it may end up being taken to the High Court. We'll stay abreast of the issue and keep you informed.